I stayed at my friend’s friend’s house the night before, so I could get up at 5, shower, and we could head out at 6:30. We drove down to New York City with only some minor bumps (we did get turned around once), but we still got there around 9:15, well before the con started. 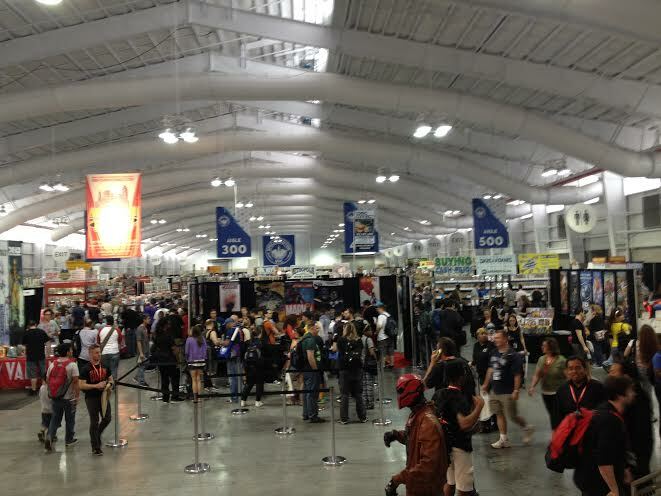 One of the biggest things we loved was the amount of space there was in the Javits Center. I’ve been to NYCC twice, but my friend has gone every year since it’s creation. He has seen it grow into the massive convention that it now is. We were all amazed at the fact that we could move around without smashing into people. Special Edition started at 10, and when we got in, we split up. 2 dudes went to stand in line for NYCC passes (they were stuck in that line for 2 hours. 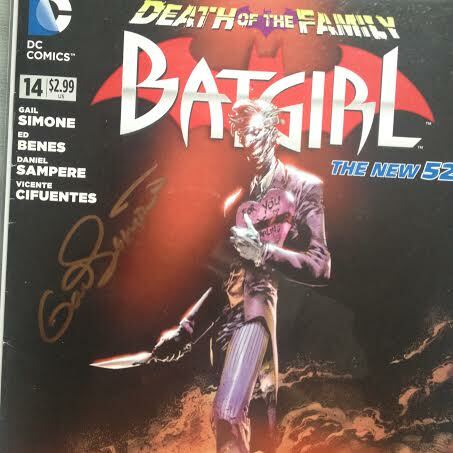 It was awful), I got in line to see Gail Simone so she could sign a couple Batgirls for me, and my friend went off to get signing done as well. I felt silly with the 3 guys I went with, because they all brought a metric ton of books to be signed, and I brought 4. But I feel like I learned a lot listening to them all talking about them. 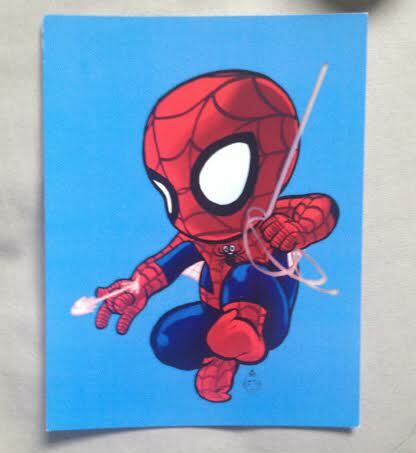 Look at how adorable this free print by Rachel Ordway is! 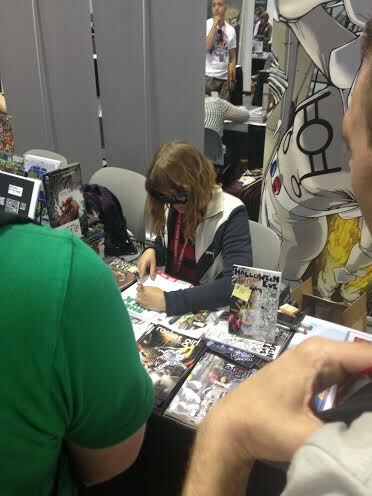 So I met Gail Simone, and her friend liked my plugs (heck yeah), and I went to find my friend. He was just getting to the front of the line to meet Mike Allred and his wife. 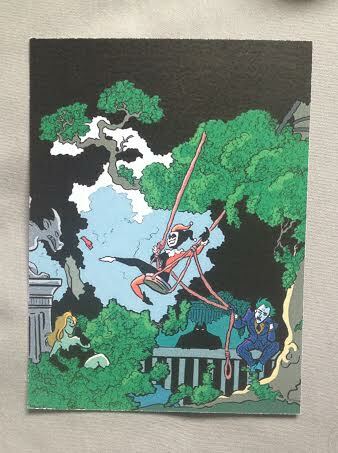 Mike Allred is a fantastic artist, and his wife does a lot of his colors. Their stuff, from what I was shown, is beautiful. And when my friend was talking to them, they said what I thought were going to be their last words, “no limit.” Of course they were talking about the massive amount of books brought by my friend for them to sign, and I thought that was really cool of them. I think he Fangirled pretty damn hard. He chatted with them the whole time, and it was great. He did say that he had wished he brought more comics for them to sign, but he was grateful. After that we went and got in line for Amy Reeder and Brandon Montclare. 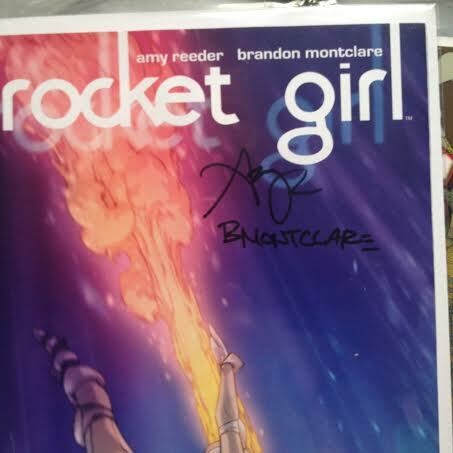 Amy Reeder and Brandon Montclare are the creators of Rocket Girl, a fantastic comic that is in our lineup of great ladies of comics. They started it as a kickstarter, and it was so popular, that Image came to them. And it’s beautiful. So I got my last 2 comics signed (1 for me & 1 for Natalie), and my friend got his 7. She was beyond adorable. She was wearing Happy Meal Batman sunglasses all day. She was also kind, and later in the day did a sketch of She Hulk for my friend. After that, we wandered. We went through Artist Alley alphabetically, then through the Vendor section. I love Artist Alley. I think it’s so inspiring to see and meet artists who pour so much hard work into their craft. We saw lots of cool art, I picked up several business cards, and got a couple pieces. I got to meet Danny Haas, who I have longingly stared at his Society6 page for years, and got an amazing print for my neighbor’s birthday. He was so kind. I also met a lovely lady named Tara Abbamondi, who said she liked my outfit (squee) and I bought her 24 hour comic, which I’m super excited to read. 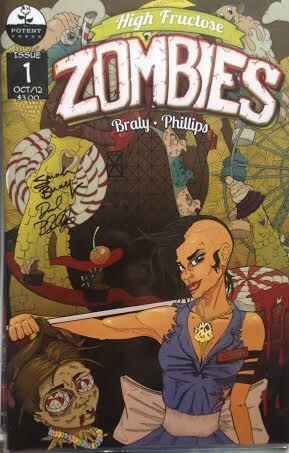 I also met the lovely folks Sarah Braly & David Phillips, who are behind a killer comic called High Fructose Zombies. 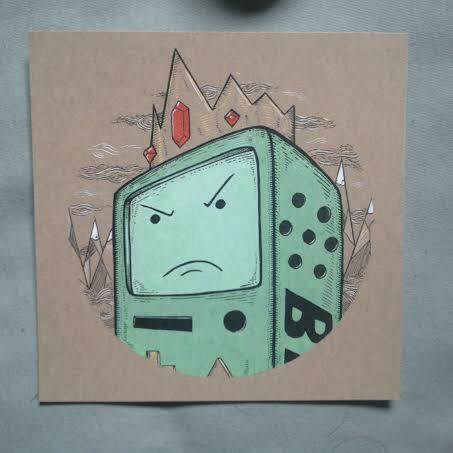 I even got a little BMO/Ice King print by JM Dragunas, who is crazy talented. I’m so excited to read this comic by Sarah Braly & David Phillips! I got most of my stuff towards the end of our wandering, or when I got bored at the vendors. The guys I was with we’re searching for old comics to complete collections and I don’t really have any old ones I felt like completing. So I got bored sometimes. I was also exhausted, and thought the best way to stay awake was to walk away and look around more. 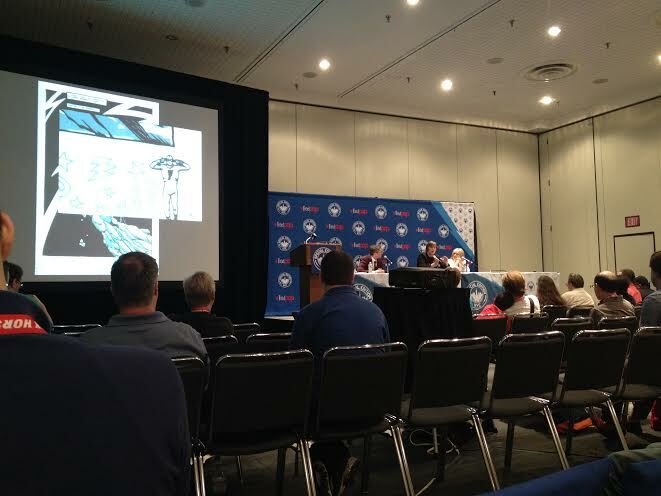 At 1:30 we headed to a room for a panel with Mike & Laura Allred, where they talked about how adorable the way they met was, and about Mike’s work in comics. I like hearing how artists and creators feel about their work, and how it has changed. Again, I didn’t feel too crowded in the room; it was refreshing! 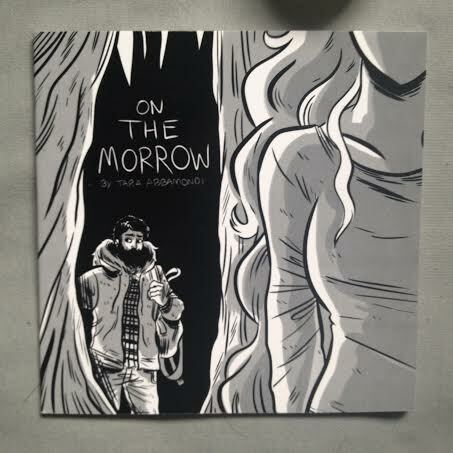 This is that 24-hour comic by Tara Abbamondi. After that we wandered, looked at comics, and wandered. I was mentally done with Special Edition at 4. I was exhausted from extreme lack of sleep (we stayed up until 3 talking about Harry Potter and Disney) and walking around all day (flats are not the best walking shoes). But I had fun. We stayed until 6:30, when it hit me that all I had eaten was a doughnut that morning, so we left, got Subway, and went home. 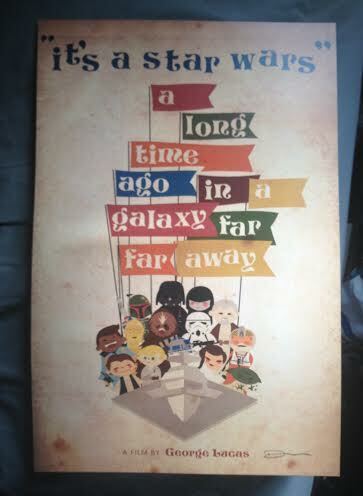 I got this Danny Haas print for my neighbor, whose birthday party I missed to go to this con. I had a blast. The car rides both ways were silly and fun, my friend was great, and the convention was perfect. 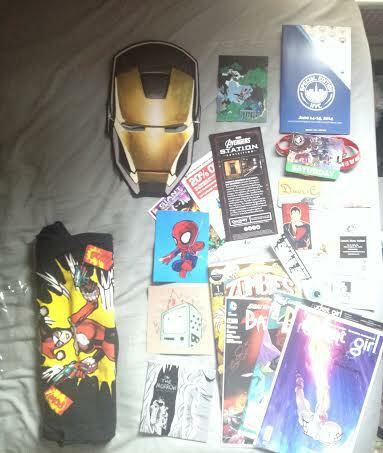 I wish I had brought more money to spend, but I’m really happy with what I got, and the business cards I picked up. I know it’s a year (or you can go today, 6/15) before it’ll happen again, but when it does, check out Special Edition: NYC! It was an amazing time.